This is for those who can never get enough of a good thing. Anyone who has ever tasted our premium Australian Glazed Apricots will understand completely. For many, these sweet treats have become a holiday tradition—as the focal point for the season’s most delectable desserts, as sumptuous snacks at parties and gatherings, or as treasured gifts given out to family and friends. There’s simply no denying their universal appeal, for our gourmet candied apricots are unmatched for their size, quality and sweetness. So moist, chewy and delicious! And the distinctive fruity tang seems as though it could linger on your tongue forever. The apricot groves in Australia are renowned for producing large, extra-plump and juicy fruits of the first quality. The climate is ideal, with abundant sunshine to ripen the fruits and coax out their natural sugars. Harvested at their peak, the fruits are dried to a light-but-firm texture that retains enough moisture to make them chewy and flavorful. Then, a protracted 20-step cooking process puts them through several rounds of precise low-temperature heating and cooling in a super-sweet syrup made of pure Australian cane sugar. 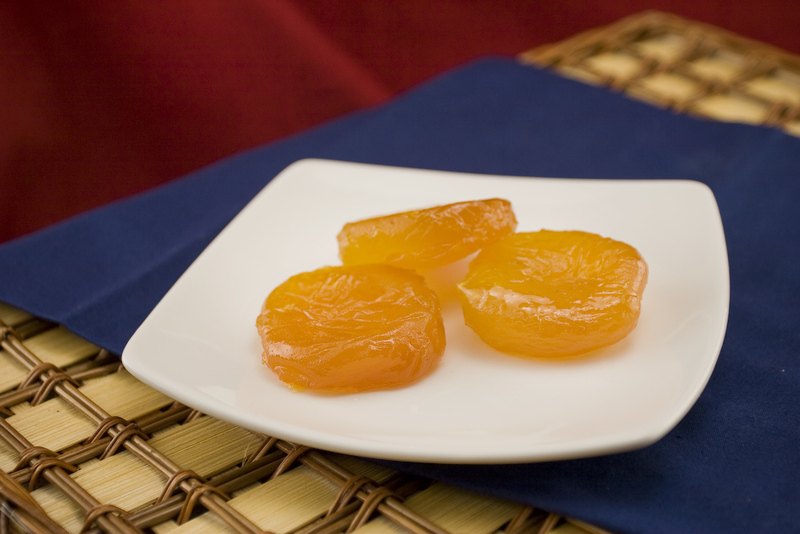 The result: delectable glazed apricots that are unmatched for purity, flavor and sweetness. Incomparably sweet, firm on the outside and tender on the inside, moist and chewy, our Australian Glazed Apricots have a full, rich flavor that is the very essence of golden sunshine. You absolutely will not find larger, prettier, more delicious fruits anywhere! And the savings you’ll realize by ordering ten pounds at a time from Superior Nut Store simply make every glorious bite that much sweeter. Whether you intend to power-snack to your heart’s content, or dole them out as gifts, our premium candied apricots will have you living the good life for as long as you can keep them around! Repeat customer. Best service & product ever!! ProsWould recommend item to a friend, but do not like to b/c it is my super special gift item for the holidays and birthdays & for seniors, whom are crazy about them, (although I have been persuaded by a couple party hosts to reveal my secret). ConsShipping suggestions: The package could delineate more clearly how the delivery person should place the box upon arrival, as some occasions it has been delivered placed upside down or on it's side. I am getting ready to package some apricots as a hostess gift. What could be better. This year's quality was by far the best. This was the best batch I've received in close to 5-6 years. I divide them in half and this year's crop was outstanding.Usually they are difficult to separate because they are too thin. Excellent this year. ProsExcellent customer service over the phone. Absolutely delicious and fresh as could be. They remind me of the Robern brand apricots I used to get in Australia. ProsFresh, plump, large and juicy. I was buying this product some times and always excellent quality and on time. I have bought glazed apricots for years and these are the best ones I have ever found. Glazed apricots are so hard to find, and these are wonderful. The apricots are the loveliest I've seen in 15 years of buying glazed apricots. Superior Nut rules! My customers love these dipped in our Premium Chocolate! A liitle more expensive than I used to pay @ another company, but they don't offer them anymore. A smaller package was not enough! Had to re-order a larger batch for family and friends. I will order again next year for sure!!!!! By Andrea R Weitz "the Greek"
One the most delicious food items I have ever tasted. Ambrosia of the gods! ProsEverything! Just wish they weren't so high priced BUT they're worth it!! Simply wonderful!!! I use them for a very special Apricot Brand Sour Cream Pound Cake I make . I originally was introduced to these very special apricots as a gift from a family friend. Once I substituted them for regular dried apricots in my cake I received rave reviews, and sell my cake to support my baking hobby. The delivery service was great and the product arrived on time. ProsThe size and quality of these apricots is amamzing. The apricots are expensive, but well worth it for a quality apricot. Exactly what I was looking for. I'll be ordering them again. Plump Apricots with Beautiful Color. These are the secret to my fabled Christmas cakes. You have best price and best quality. While the apricots are grown, processed and packaged in Australia this companyâ€™s price is competitive and the delivery time is phenomenal. Delicious glace apricots, the best I have ever tasted. The Australian glazed apricots are super excellent. Thank you very much, I am glad I purchased the case. Thank you. To quote a 4 year old, "Oh, these are so YUMMY!" . Any questions? These are beautiful apricots. The people who prepare them must be perfectionists. Every one is perfect, plump and delicious. Some are so large I think I will cut in half to dip in chocolate.